Stage profiles, stage sponsors and city websites. 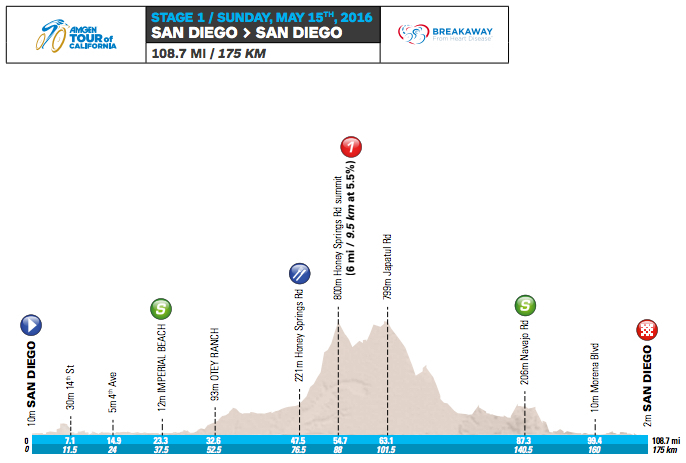 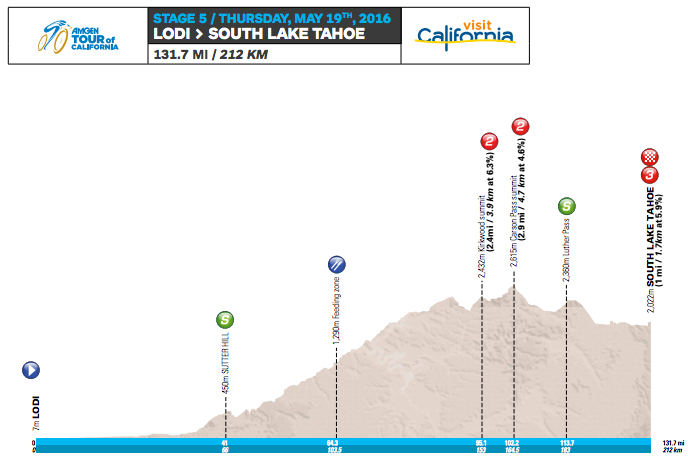 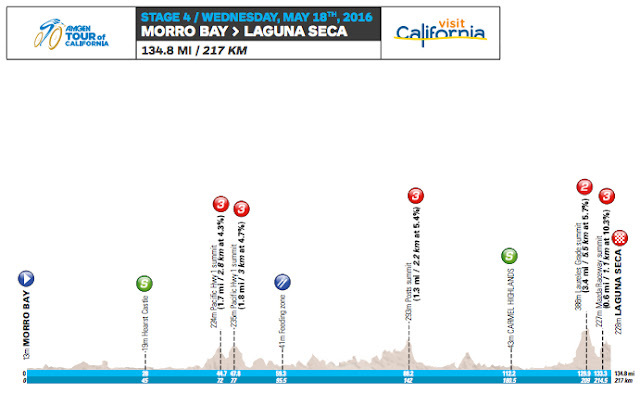 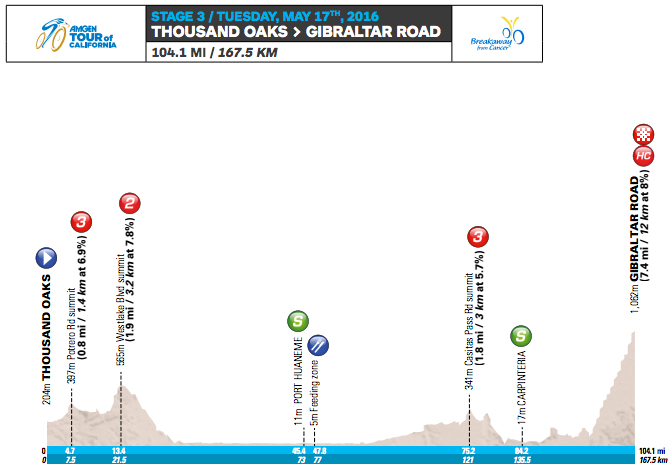 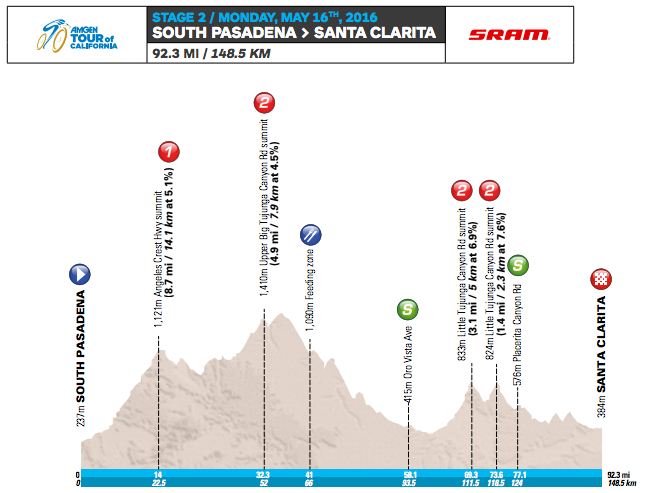 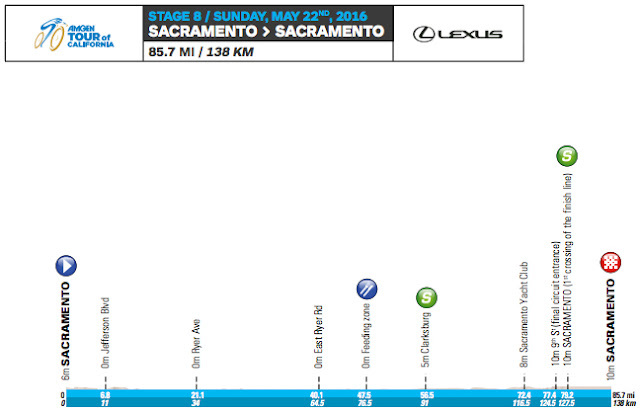 Profile maps have been provided for each stage of the upcoming Tour of California (May15-22, 2016). The route will cover nearly 800 miles and almost 16,000ft of climbing. 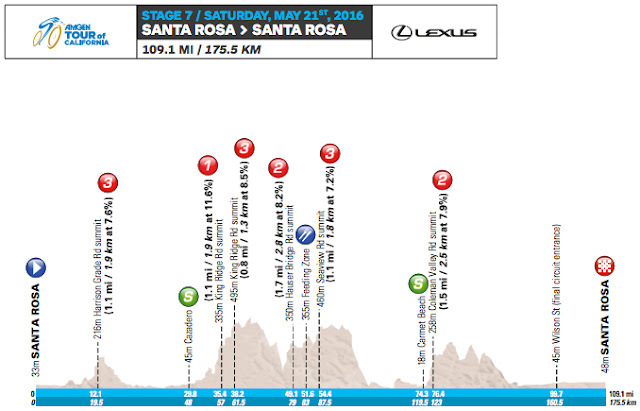 Each stage is sponsored by a major race supporter. 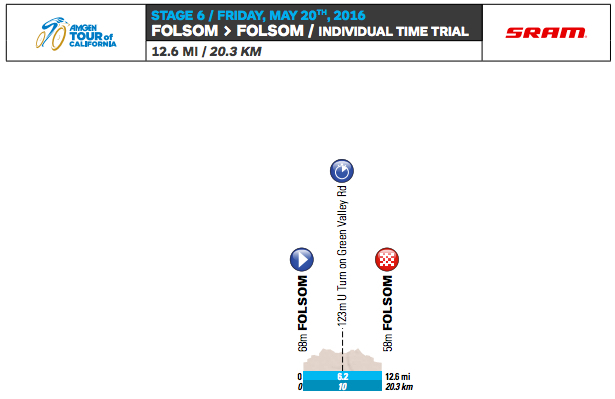 Below are the profile maps with start / finish locations, distance, sprint locations, KOM locations (with climb rating) and feed stations. Visit California offers tips on where to see the race and local businesses of cycling significance, here: Visit California Tour of California page.